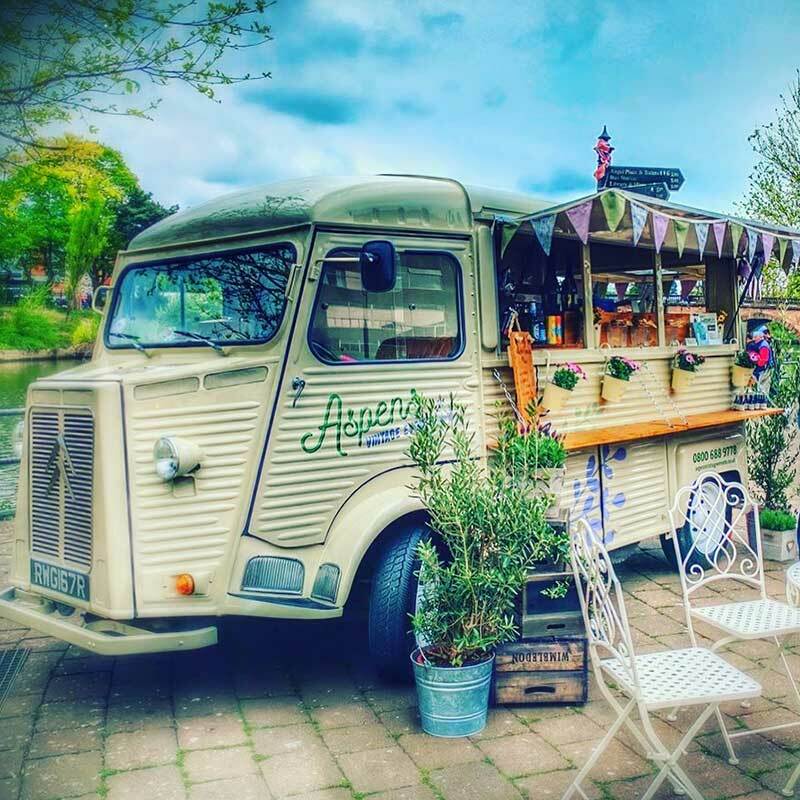 Established in the autumn of 2016 with the vision to deliver catering with an element of class and individuality using “Hetty” our Citroen H vintage van. Hetty offers a flexible and elegant solution for catering needs at a variety of events from festivals and fetes to weddings and parties, whatever the occasion, we can offer something that will fit your needs perfectly. She takes a pretty good picture too. Here is the gorgeous Hetty, in all her splendour, when we recently showcased her at the Quay in Worcester. By sourcing our food locally we support and promote local business which ensures the highest quality produce, from Hand-crafted Hereford Beef Burgers, Gloucestershire Old Spot Flaming Hog Roasts to Authentic World Street Food. We provide a unique Vintage Cafe Experience with Strawberries and Cream, locally produced Ice Cream upon French Crepes or simply Afternoon Tea. Or how about something stronger? Maybe some of our delicious Canapés followed by a sip of ice cold Prosecco or a cheeky Cocktail. Hetty will be showing off her fabulous new look at events all over the summer so head over to our news page to find out where you can find her!